St Robert’s is a Catholic faith school that offers very high quality education for all children. Our Catholic ethos means that we aim to realise the full potential of every child in our school; striving for the highest educational achievement and nurturing positive qualities and values in each of our children, so that they may enjoy life to the full. Ofsted have judged us to be Good in every area, with an number of outstanding features. 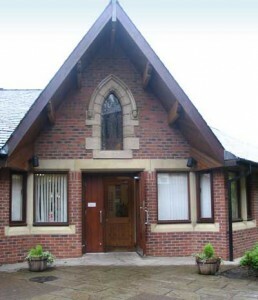 The school is situated on the banks of the River Wansbeck in the historic and scenic Northumbrian town of Morpeth. As a learning community, we benefit from the many, varied amenities provided by the town, and from an exciting range of educational opportunities available due to our semi-rural location. We enjoy very close partnerships with the parish of St Robert’s of Newminster and the local town community, often working together on joint projects, and celebrating events and achievements. We also work in collaboration with many other schools, organisations and agencies to ensure that our children experience a wide range of quality learning opportunities. As a Catholic school we seek to live out the values of Jesus Christ. We promote these values by our words and deeds, and Catholic doctrine and practice therefore permeates every aspect of the school’s activity. We provide a Catholic curriculum, which is broad and balanced, recognising that every pupil is unique and is created in the image of God (Gen 1:27). Our curriculum is designed to enable every pupil to discern their vocation and to be well-equipped to follow it as active citizens in service to the world. Catholic Religious Education is the “core of the core curriculum” (Pope St John Paul II) 4 and the foundation of the entire educational process. We also provide a wide range of extra-curricular activities and strong pastoral support. We incorporate democratic principles, value the rule of law, support individual liberty and foster a community in which different faiths and beliefs are respected.